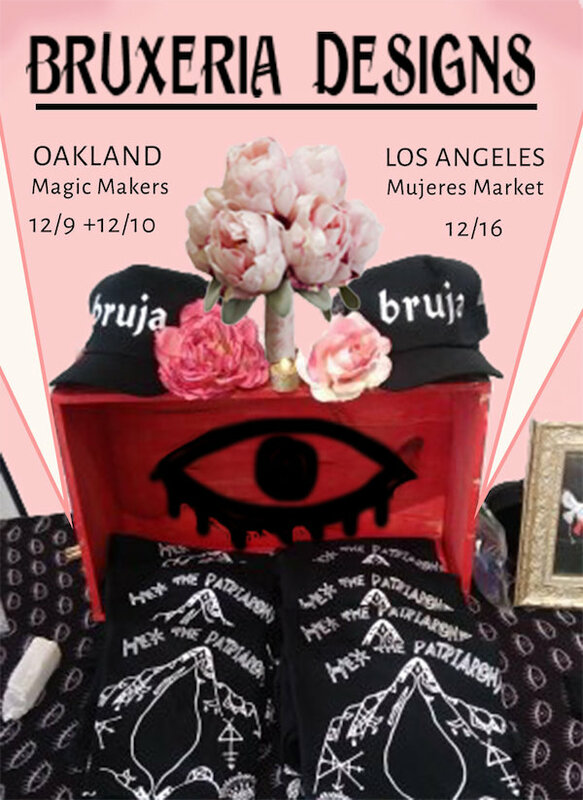 Get your Hex the Patriarchy IRL at one of Bruxeria Design's limited holiday engagements! I will have special editions and one of a kind items available in person only at Magic Makers and at Mujeres Market. Come through witches!